The former co-host of popular morning talkshow Your View on broadcaster TVC Communications is to present two new programmes on pay TV platform Play TV. Osayuwamen Saleh will host Zaman Arewa and Embrace, which will air on Azurfa and 1Africa respectively. As the name suggests, Zaman Arewa is about bringing Nigeria’s North to the world in a new light, showing what makes it unique and highlighting its culture and traditions, its personalities and its cuisine. “The vision for the show is to project the Northern lifestyle to the world and explore all that it has to offer. We want everyone to see the North’s true beauty and wealth of resources,” said Saleh. Azurfa is a 24-hour contemporary Hausa channel that showcases movies, music, entertainment and lifestyle programming. Embrace, meanwhile, will focus on the healing process of people who have been through trauma or life challenges. 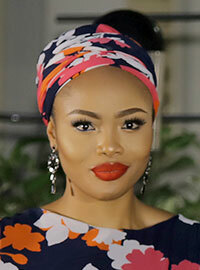 Saleh, who founded the Osayuwamen Saleh Foundation International (OSFI) earlier this year, is a renowned Family Priority Practitioner whose regular views and opinions on TV and radio “centre on the importance of the family in our fast-changing society,” according to OSFI.